Nearly a year after the failure of the transit referendum, the ongoing fight over how to fund Metro Vancouver's transit and transportation system erupted again today. Both the province and the region's mayors released separate funding proposals on Thursday, but it remains unclear if and when they will find common ground. B.C. 's TransLink Minister Peter Fassbender announced a $246 million commitment over the next three years to fund TransLink improvements. He also announced how much he expects the region's municipal governments will contribute to the plan —$124 million — which he expects them to raise by taking advantage of rising property values around transit stations. The commitments are meant to match the federal government promise of $370 million to upgrade transit stations and SkyTrain cars, announced in the March federal budget. Altogether, according to Fassbender, the three levels of government will be putting up $740 million for the three-year plan. Fassbender says the cash would be used to purchase more SkyTrain cars, improve bus exchanges and SkyTrain stations, enhance SeaBus service, and start planning new rapid transit lines in Vancouver and Surrey. But it remains unclear if the region's mayors will endorse Fassbender's plan, which is only a fraction of the $7.5 billion they were looking for to fund their ten-year transit and transportation plan. Just hours earlier, the mayors released their own much larger funding proposal, which is intended to raise $5 billion over ten years. They say they presented the plan to Premier Christy Clark last month and are now calling on the province to adopt it. It includes a two per cent transit fare increase, a property tax increase averaging $3 per household, the sale of surplus TransLink property and so-called mobility pricing, which could mean more tolls on bridges and roads. 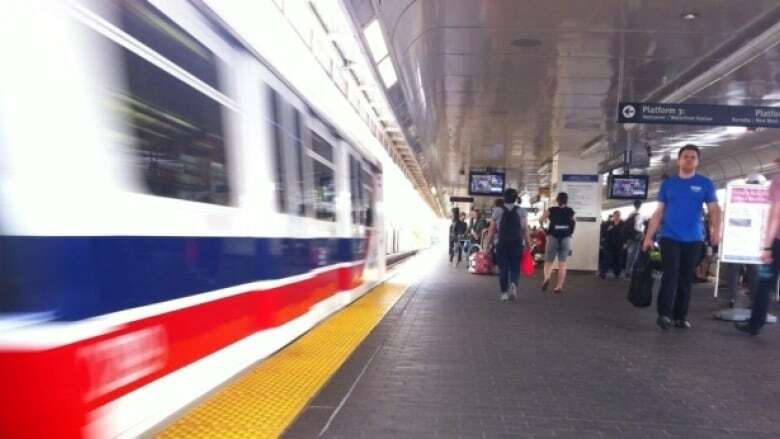 It also calls on the province to put the mayors in charge of governing TransLink, which is currently operated by a provincially-appointed board. If the federal Liberals win the next election, they have promised a second phase of funding would roll out in the 2020/21 budget that would include more money for major projects like the Surrey LRT and Broadway subway line.